The four new aircraft come complete with flydubai's new ‘Fiber To The Screen' in-flight entertainment system from Lumexis. Flydubai, Dubai’s first low cost airline, has expanded its fleet to a total of 13 aircraft by taking delivery of a quartet of new Boeing 737-800s within seven weeks. The four new aircraft come complete with flydubai’s new ‘Fiber To The Screen’ (FTTS) in-flight entertainment (IFE) system from Lumexis. This fiber optic-based system is lighter and thinner than previous models, enabling it to fit comfortably into the Recaro passenger seats that flydubai has had fitted in its aircraft. Flydubai says this reduction in weight allows it to offer its customers the best in-flight entertainment on the market while significantly reducing associated costs, allowing the carrier to keep its ticket prices low. 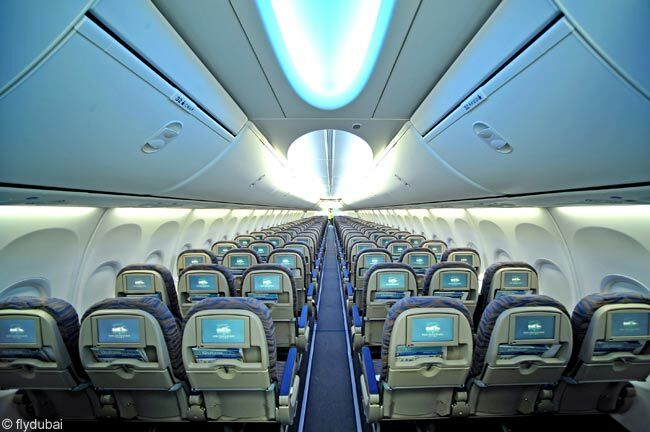 In line with flydubai’s culture of only charging travellers for the services they use, the new IFE will be available as an optional extra in the way that baggage and meals are. Passengers travelling on these new flydubai aircraft will have the ability to choose what they want to watch depending on their preferences and how much they want to spend. In addition to their new IFE systems, the new 737-800s are also among the first to be fitted with the new 737 Boeing Sky Interior. The new interior aims to improve passenger comfort onboard and has subtle mood lighting to simulate nighttime, daytime and sunrise/sunset light, as well as redesigned overhead bins to give more cabin space and increased storage. Flydubai was established by the Government of Dubai in March 2008 and began commercial flights on June 1, 2009. The airline currently has a fleet of 13 new Boeing 737-800s and now operates to 28 destinations. Current destinations include Beirut in Lebanon; Amman in Jordan; Damascus, Aleppo and Latakia in Syria; Alexandria, Luxor and Assiut in Egypt; Djibouti; Doha in Qatar; Baku in Azerbaijan; Khartoum in Sudan; Bahrain; Kathmandu in Nepal; Muscat in Oman; Kabul in Afghanistan; Kuwait; Lucknow in India; Istanbul in Turkey; Karachi in Pakistan; Colombo in Sri Lanka; Erbil and Sulaimaniyah in Iraq; Yekaterinburg and Samara in Russia; Yerevan in Armenia; Abha in Saudi Arabia; and Ashgabat in Turkmenistan. The airline will begin operating service to Yanbu in Saudi Arabia in January. FLYING TO PALAU IS WHEN? Replace Continental ASAP!